Home Marriage Are you a Queen or Nah? Something to think about. How are you treating our husband? 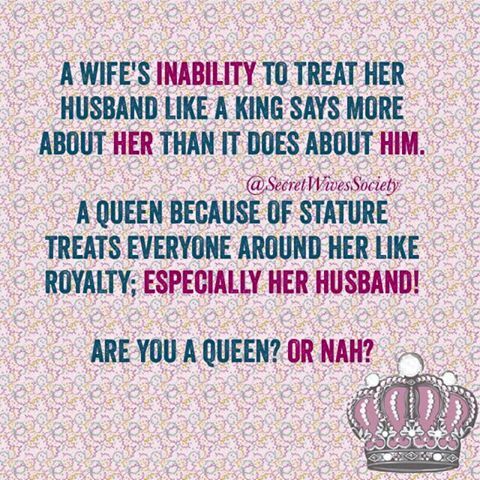 It’s easy to say you treat him how he “deserves” to treated, but often the real issue is you treat your husband the same way you treat yourself. Are you a Queen? Cool, then act like one. Queens are married to Kings, right? Cool, then treat him like one!